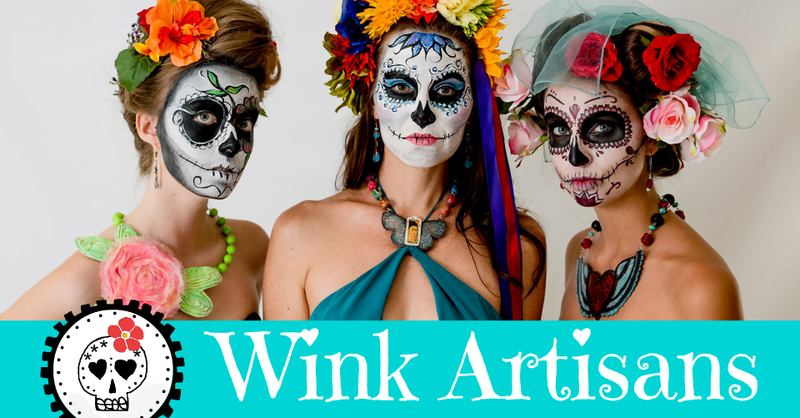 Have you seen the new Coqueta in Love by Wink Artisans? She's HOT! The new design is a hand-colored calaca brooch, featuring a turquoise skirt along with silver flower on her head and a heart on her chest. 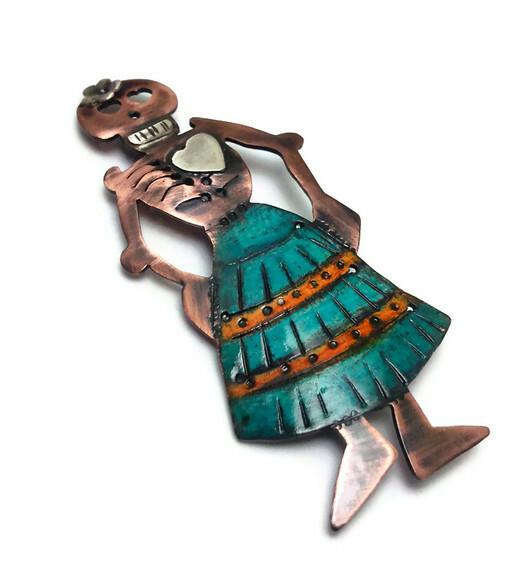 She is ready to be worn proudly on your top, your hat, or your scarf. Check it out on the Etsy Shop.